The Agnew Family aboard the "Dog House": Is the Week Over Already? Is the Week Over Already? It’s hard to believe but the week in Parksville is over and it’s time to move on. We’re not going very far today — less than 100 km. to reach our destination of Port Alberni. We are staying at the Port in hopes of good weather for at least one more day so we can take the Lady Rose to Bamfield. The Lady Rose is a freighter that takes locals and tourists to villages down the inlet where there are virtually no roads. Anyway, more about that tomorrow. 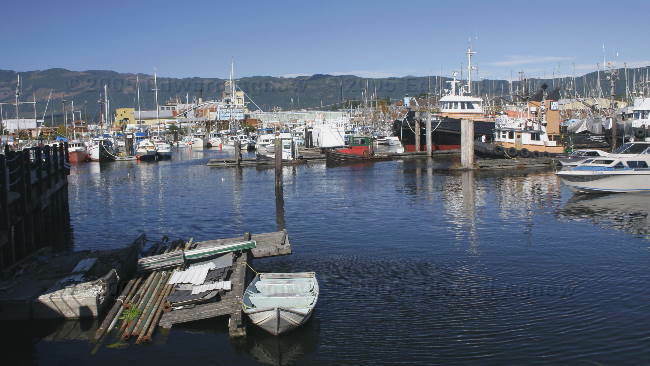 Port Alberni is a industrial town but does have a nice harbour. A few KMs. 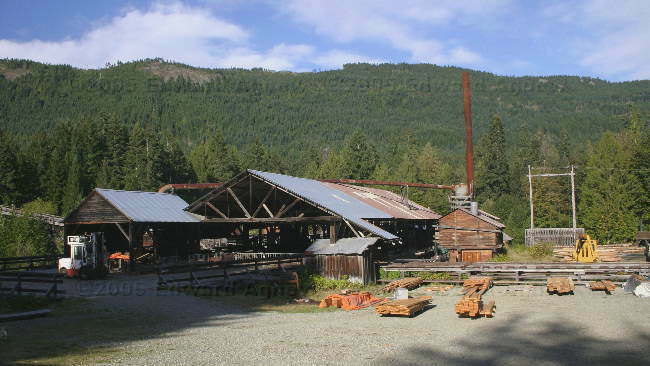 outside of town is an old steam powered lumber mill that is now a National Heritage Site. We got there a little late in the day so the mill wasn’t running but it was still interesting to walk through it. When we got back to the campground, Colin walked over with a bag of blackberries he had picked. Sounds like a good job for Ed. Mmmmm those blackberries were good. 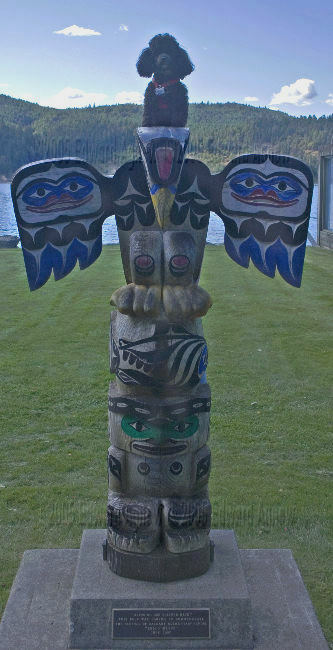 What's the top of the totem pole? 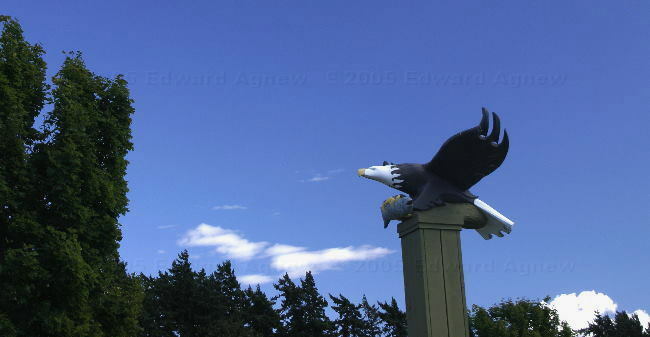 The harbour park in Port Alberni. The harbour in Port Alberni. 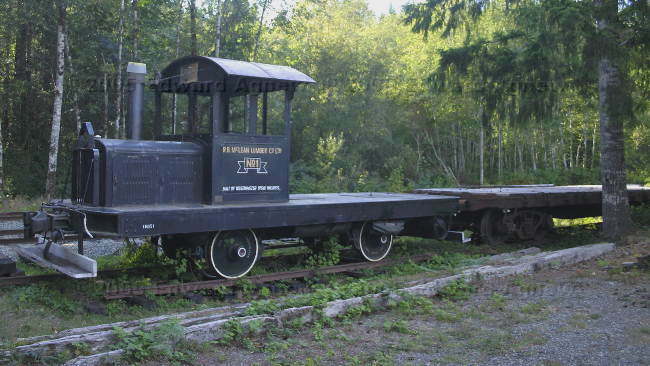 A train at the old mill.